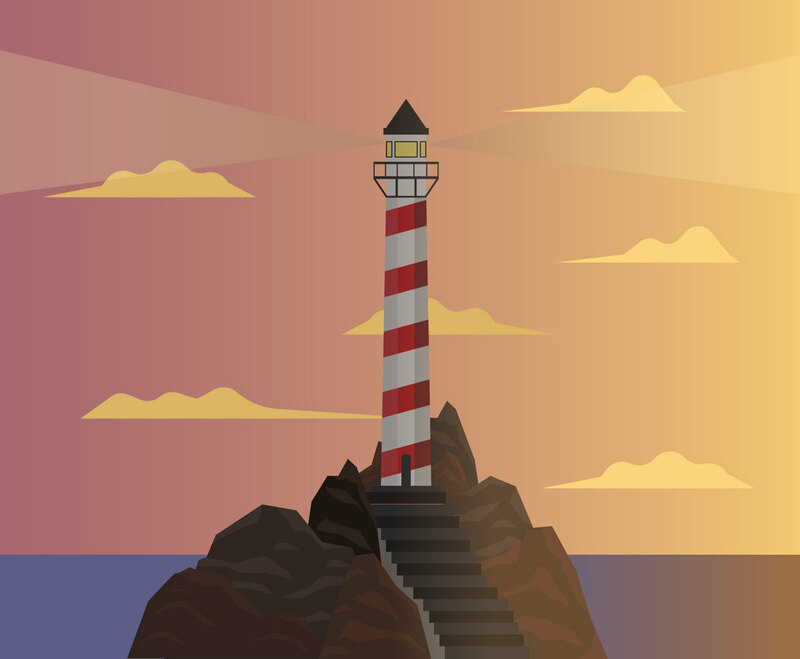 Illustration of lighthouse in vintage style in sunset view. It has shading effect in the layer that you can adjust or edit to have different kind of view. You can also edit the sky gradient color to match your design theme. This vector set is good for nautical, tourism or travel promotional banner in web or print media.